Getting to know the food culture of a destination is the best way to understand that place and it’s people. It tells you everything you need to know, from the nationalities that settled there to the history. I’ve lived in the South for most of my life, but if you’ve never been to the region before, you might be intimidated to order things like grits or sweet tea or collard greens. Culinary Tours of Charleston solves your dilemma by introducing guests to the history of the Holy City, from its founding by the British to Native American influences to French and Spanish settlements to African slave cooking to the modern day. Charleston is one of the biggest foodie towns in the United States. The first question people ask you is, “Where did you eat?” Reservations at James Beard award-winning restaurants like Husk, FIG and McCrady’s can be hard to come by. These restaurants have become so popular for their ability to take classic local ingredients, like Anson Mills grits, Carolina Gold rice and benne seeds, and bring them to the modern day. The tour starts with a brief history of the city, followed by the first stop, Dixie Supply Bakery & Café, a place I have wanted to go but never been to. 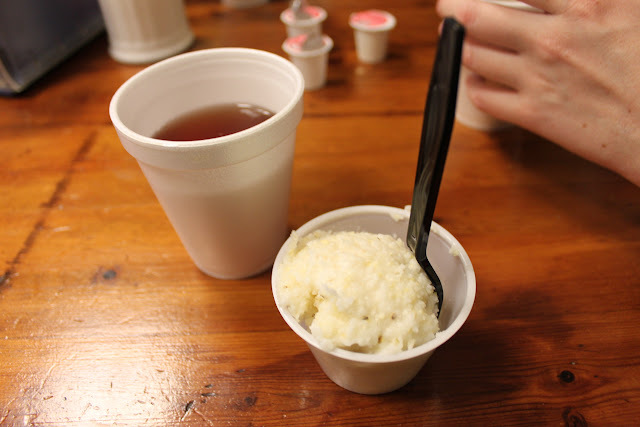 We were served grits, which are a hit or miss with non-natives, and a cup of sweet tea, as well as a sweet potato cake. Our next stop was the Charleston Cooks! store, where we tried benne wafers, a crunchy bite of sesame. 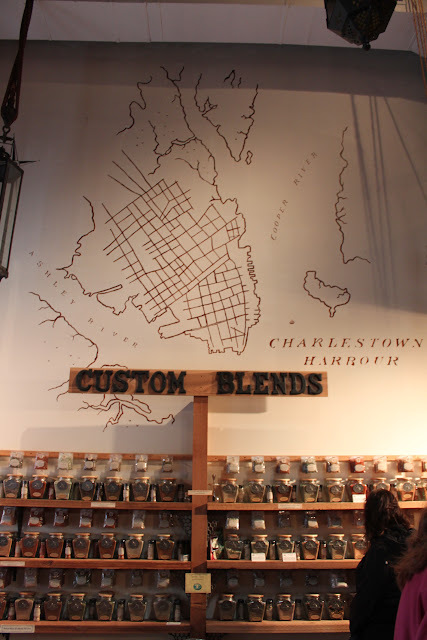 Next up was the The Spice & Tea Exchange of Charleston, where we talked about the types of spices used in colonial dishes, namely curry powder. And for the sweets lovers on the tour, there’s a stop for pralines and chocolates at Market Street Sweets, where you can watch them make them right in front of you. 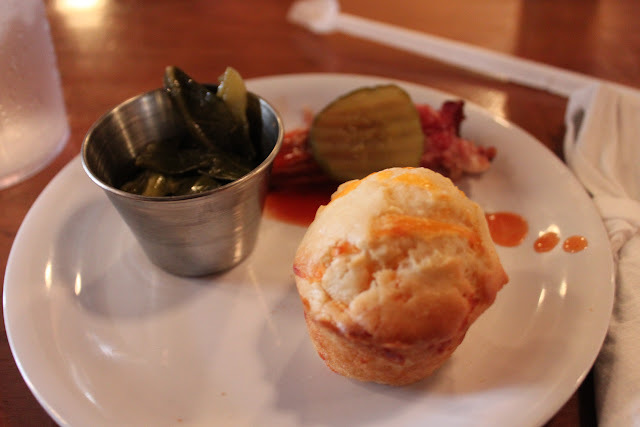 The tour ends at Jim ‘N Nick’s Bar-B-Q, where you enjoy barbecue, collard greens and a biscuit. 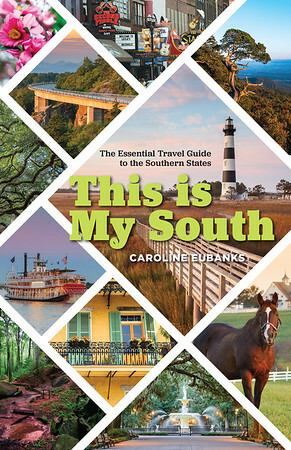 I loved that this tour give visitors a primer to Southern food before they venture out to the other well-known restaurants. The guides are very knowledgable and have a real passion for local cuisine. While you get lots of samples on the tour, I recommend at least having a light breakfast beforehand. Tours run from Monday through Saturday at 9:30 am and 2 pm. During farmer’s market season, the tour goes there as well. There is also the Charleston Chef’s Kitchen tour, which takes you behind the scenes of the city’s top restaurants. If you’re looking for a primer to Southern food and the culinary world of Charleston, I highly recommend taking one of these tours. You and your stomach will be glad you did. 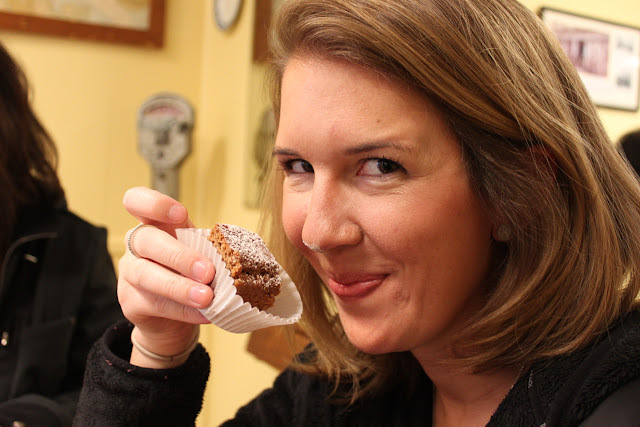 I received a complimentary Savor the Flavors Tour from Culinary Tours of Charleston for the purposes of this review, but all opinions remain my own.